You are interested in the Hippodice Competition? 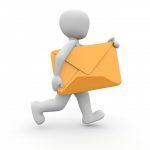 With our newsletter you will get news, dates and results directly into your mailbox. Don’t worry about too many emails – we will send only a few mails per year. Subscribe our english newsletter: Get dates & results about Hippodice Competition! I agree to receive the english newsletters from Hippodice Spieleclub e. V., therefore my personal data will be stored according to our privacy terms.